You can even try it now for just 1$! You can now try Lang Unlimited out for just 1$ for a trial period of 24 hours. Schedule as many lessons as you want for only a dollar, doesn’t get much better than that! Becoming a member usually costs 99$! Learn Russian the fastest and most fun way possible with UNLIMITED face to face tutoring with native Russian speakers. Unlimited Russian lessons for language learners of all levels. One on one tutoring is, without a doubt, the fastest and most efficient way of learning a language. The reason there are even other methods out there is because of the cost of a tutor being outside of what most people can afford. Now, with Lang Unlimited, we have brought you an affordable price on as much one on one tutoring and Russian lessons as you want. All this for just 99$ a month, you can have unlimited access to a native Russian speaker. The only reason we can offer one on one lessons for so cheap is because of the situation in Ukraine and the fall of their currency. This won’t last forever, so learn Russian for cheap from native Russian speakers while you can! You’ll also be helping to employ people in a country that currently has few employment opportunities. Laugh and enjoy the one on one Skype tutoring sessions you get with our friendly tutors. The only thing better than learning Russian quickly is to have fun while doing it. The Lang Unlimited Method is a complete program you can do which replicates the experience of immersion and you can do it from your own home! The program is a step by step process to how you can become fluent in the language as quickly and enjoyably as possible. It gives you the best ways to master vocabulary, writing, speaking and listening. 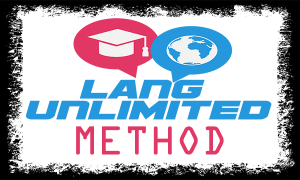 The Lang Unlimited Method is included FREE with your monthly membership to Lang Unlimited. 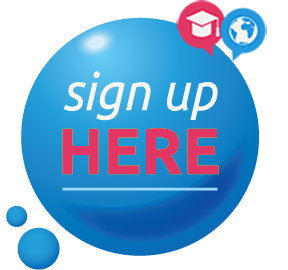 Sign up HERE to become a monthly subscriber and enjoy Unlimited Russian lessons and tutoring! You will get all this for an entire month! You will pay less than 100$ for everything you need to become fluent in Russian. Click below and start mastering Russian right now!